"Picture this Family Court case from the Bible: There came a time while wearing the hat of a judge, King Solomon had to make a ruling in the case where two women were trying to claim the same baby. .........a baby had died during the night, and the two babies had been switched by the mother of the dead baby. With both women claiming the baby left alive as their child, Judge Solomon had to think fast. Let's see! Could the law books give an answer?" "God is raising up a select group of judges who will seek His face on every issue.......especially in crucial decisions concerning families, the unborn child and others who cannot defend themselves, but will seek His wisdom in making decisions and administering justice. Especially administering justice to the youth who are, indeed, our future!" "Parents, does your child come home every day with a note from the teacher? Do you repeatedly get calls from your child’s school about his or her behavior at school? Does your child rack up demerits? How about in-school and out-of-school suspensions? Better yet, does the police know your address intimately? Do they have your home number on speed-dial? Do you find yourself always at the courthouse, or visiting your child at the detention center? Stop getting frustrated! If you have done, or are doing what you are supposed to do as a parent, recognize that this may very well be the ploy of the enemy to rob him or her of his or her destiny and purpose. Do not be distracted. Stay focused!" "Even when your child is disrespectful, disobedient and downright rebellious; even when the report card shows all Fs; even when your child is on his third day home from being suspended from school; even when your child is strung out on drugs and needs detoxification; even if your child is on 24-hour lock down, and is facing jail-time, don’t give up on your child! 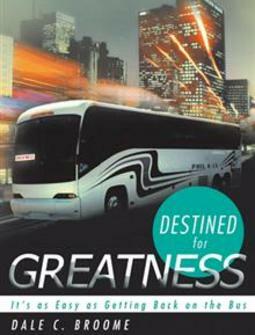 Tell your child that he or she is destined for greatness! Note that I am talking to myself too! Your child’s circumstances do not dictate his or her future. Again, no matter how bad it looks, no matter how rotten it smells, God determines your child’s future! And his promises will not be negated!" Taken from Chapter 8: To the youth....So you strayed! What now? "Sometimes disobedience comes with a high price! God is a merciful God, but like I tell my older son, if you remain rebellious, stiff-necked and unheeding, that mercy will sometimes run out." The enemy knows this! His aim, however, is to prevent you from going before great men like the Bible says. Actually, the only great man he wants you to go before is the one in the black robe— a judge. He knows that you are fully capable of being a chemical engineer—manufacturing legal drugs; a pharmacist—selling legal drugs, an entrepreneur—selling and managing legal clothing. He wants to capitalize on that entrepreneurial talent within you for other reasons—to do things the illegal way. My point is—you can use all the talents and academic smarts God has given you for legal purposes. Don’t let the enemy cause you to settle for less. It’s never too late! Make the decision to change today! Get an education. Stay in school! Those who are in, stay in! Those who are out, get back in!" "Strive to use the gifts and talents that God has given you! What ever you do, do not stay home and do nothing! If you are at the point where nothing is happening—work or school, do some volunteering. You will get to see that there are others worse off than you when you volunteer. Suddenly, life seems brighter! Plus, as one very wise judge continues to say—it helps to instill some self-worth when you help others. ​These words are very much needed since our judicial system is plagued with those who hang out in the devil’s playground of idleness! Idleness often leads to a sense of worthlessness, hopelessness and despair. I grew up hearing this—The devil finds work for idle hands to do—another of my grandmother’s many sayings. Believe me, he will!"